Whether you are a working man or a working lady, every individual needs to have the lunch and dinner for soothing hunger cravings and stay fit for the job. The working people carry lunch to their offices and work site and have it during the lunch time. Most of the people have food during the lunch, which get cold and unhealthy. You should choose a lunch box that can maintain freshness, hotness, and coldness of the meals you carry with you to have during the lunch or dinner. The best lunch box cooler are reviewed in this post to help you in finding the best one. Most of the time people stay out of their house due to which they can enjoy the home meal and have to eat from outside. Every time eating from outside is not a good choice. 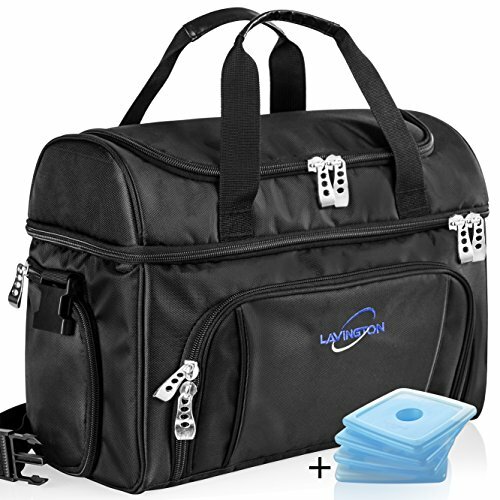 Here we recommend you to buy Lavington insulated cooler bag which is designed especially for keeping meal. 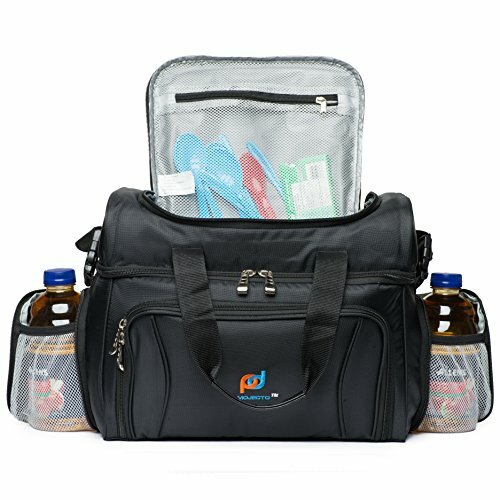 You can take with you your meal while you go hiking, gym, picnic or beach. This bag is mainly designed for the pilots, air hostess and people who work in related professions. This bag is not like the bags which are you carrying for picnics and all but it can be used for this purpose too. It is a cooler bag which keeps your item cool. Thus, you can easily carry wine, beer, and other items easily in it. Talking about its material quality then it is made using heavy-duty polyester 1680D. It is safe to keep food item in it and it has a durable puller and zipper which make it easy to carry food. The bag is insulated and strict quality is maintained while manufacturing it. If you are in need of cooler bag which is made using heavy duty material and tear resistant then this 840D polyester bag insulated with foam and dual replaceable heat sealed peva liner is best for you. 840D polyester make is durable and thus, one can easily carry a lunch box and other food items in it. In this cooler bag you get an additional liner thus when one line3r is damaged then you can replace it. In this cooler bag don’t put open ice or liquid but use only ice packs or ice gels. Also note that the sharp edge of the ice may damage the liner. So, be careful with it! Cooling efficiency is maximized by thick insulation and there are 2 compartments having zipped mesh. There is a large space to store food, accessories, and drinks. This lunch box is best for controlled diet and it is made using the high-quality material. It contains 4 sided lids for better security as well as ease of removal. 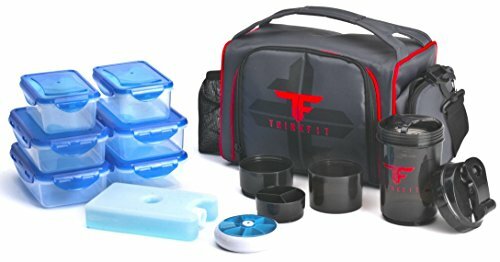 Thinkfit’s lunch box is versatile and compact and can be used for both kids and adults. 6 plastic storage allows you to carry food and lunch. It is also dishwasher safe and microwave safe. This lunch box is made using heavy duty material as well as provided with double insulation so as damages as well as leakage. Also, double stitching is given so as to withstand tears and other harms. Here, we have reviewed the top cooler bags and lunch boxes in our article. Read carefully if you are also in need of these items. All of the product discussed here are good quality and affordable. You can find them easily in market online and buy them!